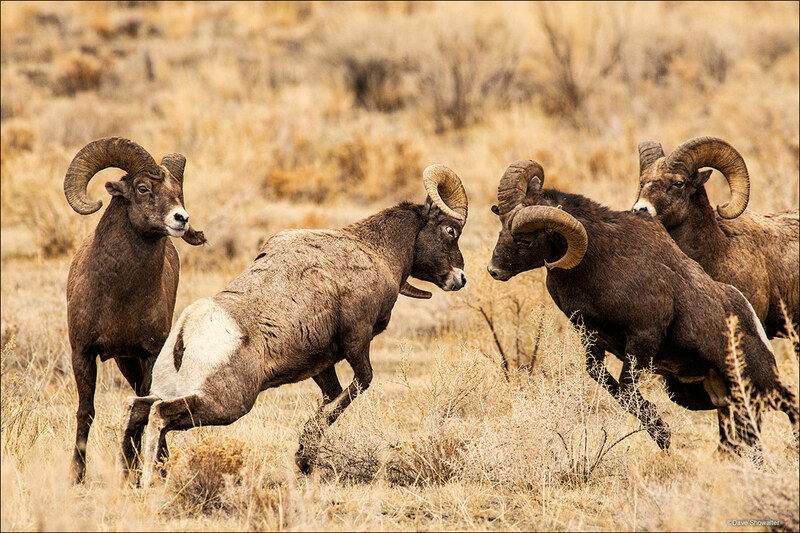 Bighorn sheep rams battle for the right to mate during the autumn rut. About 80% of Wyoming's bighorn sheep population live in the Absaroka Range. The North Fork herd migrates from Yellowstone National Park. Photo © copyright by Dave Showalter.